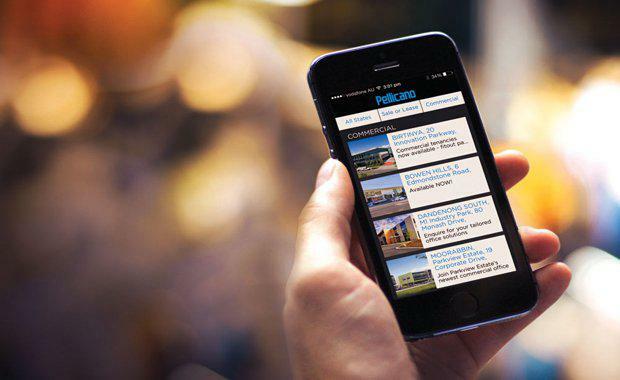 Property group Pellicano has developed an app to manage its $350 million property portfolio after responding to client demand for a digital platform. Pellicano’s app lists all properties for sale and lease in their extensive portfolio across the residential, industrial, commercial, retail, and bulky goods sectors in Victoria and Queensland. The app will be available directly to investors and the greater public providing insight into stock availability. Managing director Nando Pellicano said the app represents Pellicano’s commitment to evolving with the property market. “With so many online portals and industry disruptors, Pellicano saw the need to move into this space and give its agents and investors real time and direct access to the entirety of its portfolio,” Mr Pellicano said. Cushman and Wakefield's Manager of Industrial Services, Jordie Cassidy, has been using Pellicano’s Property Update app to access the company's listing information while on the go – in between meetings, in transit, or while waiting for his next appointment. His user habits follow Pellicano’s wider observations their stakeholders needing a centralised way to access information while carrying out their busy work day. “Digital tools are becoming far more important to my job. Speed of information is important, as is having direct and convenient access,” said Cassidy. “I would usually use the Real Commercial app or website, but Pellicano is one of the only companies to have developed their own app with extensive information on each property available. This enables me to use the Pellicano app to access real time and detailed information on its listings. “The app is easy to navigate, and all information is in your hand. I don’t have to print out any information and can refresh my knowledge quickly while waiting for an appointment or meeting,” he said. All properties for sale and lease are updated in real time – there is no delay in accessing the information. Pellicano are considering integrating push notifications in stage two of the app’s development that will alert users when new properties become available or when information is updated. All information is centralised and contained within the user’s mobile phone – the app encourages users to connect with the brand repetitively. The app provides a direct contact to agents via email or phone – letting users choose their communication method, download or view PDF flyers, and directly request brochures. Stage two will also see the app integrate social media capabilities, linking to the Pellicano’s Facebook and LinkedIn Usability and reason for use. The app can be used as a pre-research tool. Through the app, Pellicano is providing users with a ‘bookmark’ or touchpoint that encourages repetitive use. The app only has three filters – state, sector, and sale or lease – streamlining the user journey and enabling users to peruse a wider range of properties that may fulfil their needs. In contrast to other property listing websites, the Pellicano Property Update app is adfree. This app is accessible to both industry members and direct to consumers. The team spent over 12 months designing and developing the app, working with their internal sales team and external agents to ensure it had a build that was ready for the market place. The app is available to commercial and industrial agents, as well as residential agents and property investors. Properties can be filtered down to target state and sectors, giving users the opportunity to hone their focus quickly. Google location and directions, photo scrolling, and flyer download functions are all included in the user experience.